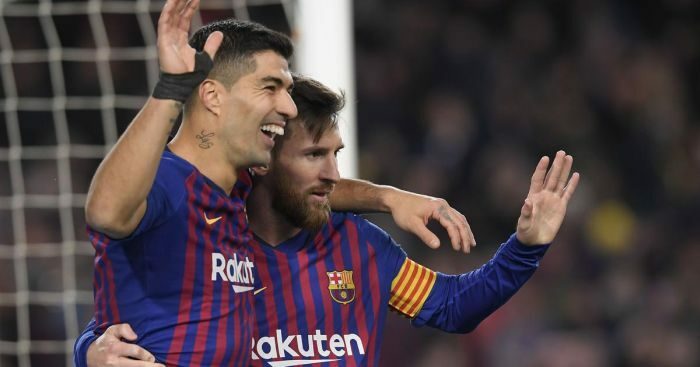 Barcelona skipper, Lionel Messi believes the Catalan giants showed their appetite for the Copa del Rey by blowing away Sevilla 6-1 on Thursday to pull off a brilliant comeback and book their place in the semi-finals. Sevilla had won the first leg 2-0 but their lead was wiped out within 31 minutes at the Camp Nou, after Philippe Coutinho scored a penalty, referred to him by Messi, before Ivan Rakitic poked in a second. Ever Banega had squandered the chance to level for Sevilla by missing his own spot-kick and Barca ran riot in the second half. Coutinho headed in his second and Sergi Roberto added a fourth, only for Guilherme Arana to give Sevilla brief hope. Luis Suarez and Messi wrapped up an emphatic victory late on, the latter after a superb counter-attacking move. Some had suggested Barcelona would be relieved to exit the Copa del Rey to focus fully on La Liga and the Champions League but Messi said their display had silenced the doubters.